I am loving my new blog design! Megan from A Bird in Hand Designs did an amazing job. She really captured the look I wanted. I would highly recommend her to anyone looking for a new look. It has been so long since I blogged, I went through my phone last night an pulled off pictures of what we've been up to in the lab. 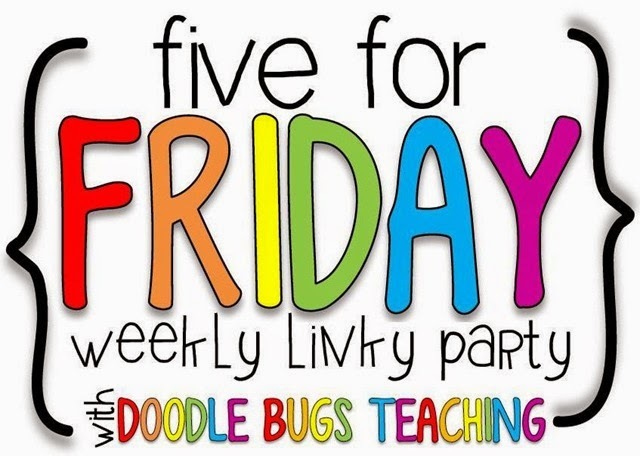 My students are on a three day rotating schedule, so I see each class only 4 more times before the last day of school on June 4th. Crazy! This post is a bit of a catch up. The pictures are mostly from May, with a little of April thrown in. I am responsible for this bulletin board. It is a beast. I still want to have every student get to take part in the design, so it takes me weeks! This one was put up before the Kindergarten Round Up. Each of my K-2 students drew a fish in pastels. The students got to select their shade of blue tempera paint. 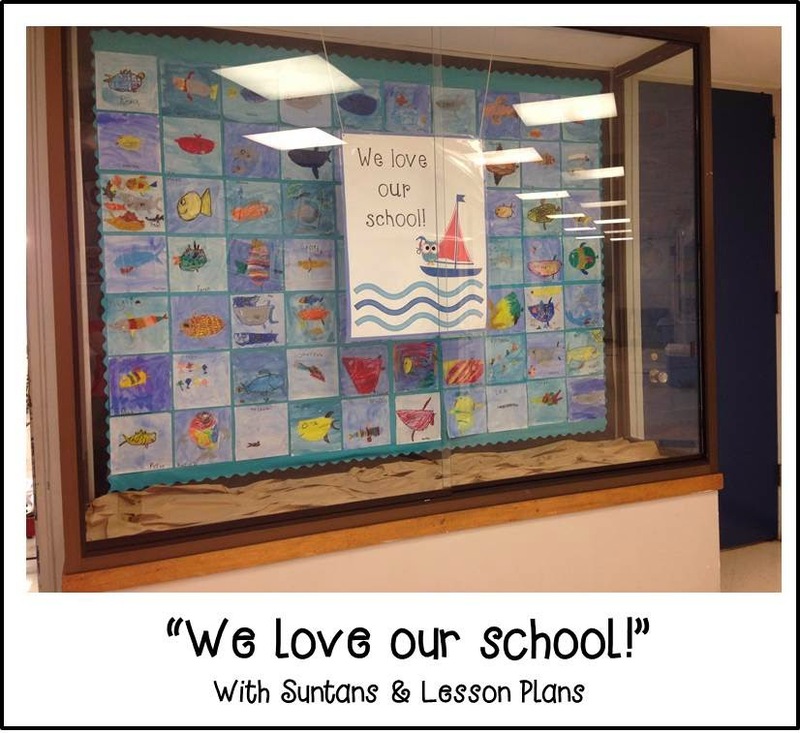 The sign hanging from the ceiling in front of the fish says, "We love our school!" Of course I had more fish than I needed, so they also swam down the hallway. 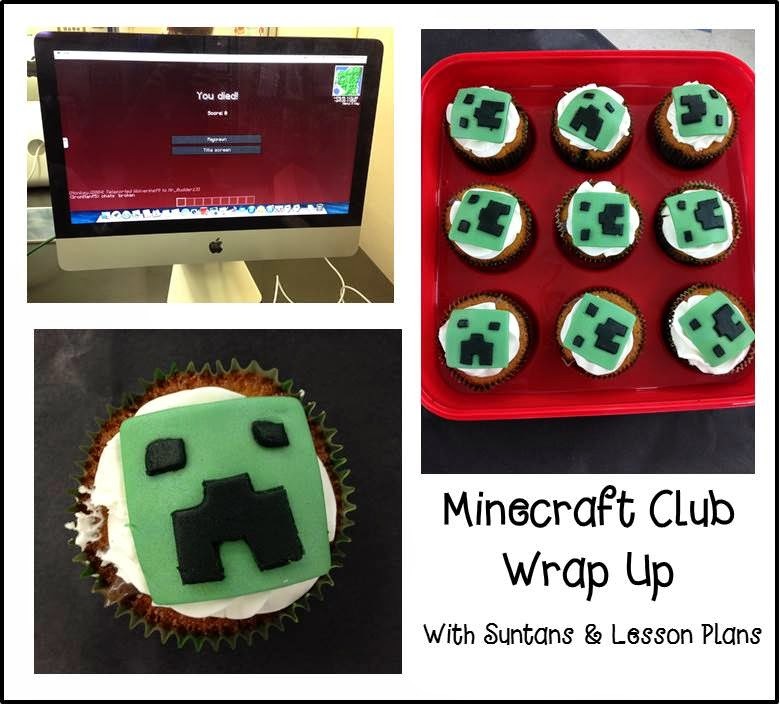 Minecraft Club wrapped up at the end of April. At one of our last meetings I logged on to play. In exactly 2 seconds the screen flashed, "You died." I am seriously bad at video games. I do think that gaming in the classroom is a great tool though, so I am making an effort to learn. The staff member who helped me with the club brought in these cupcakes for our last meeting. Too cute! One of my favorite features of my STEAM Lab is that I have a working kiln in my room. I keep it covered by bright green curtains most of the time. For the big kindergarten Mother's Day Breakfast, the PTO asked if we could use the kiln. I had an art professor from the university help me. Even with guidance, it is a little unnerving to watch that thing get up to 1,800+ degrees. Cool, but scary! 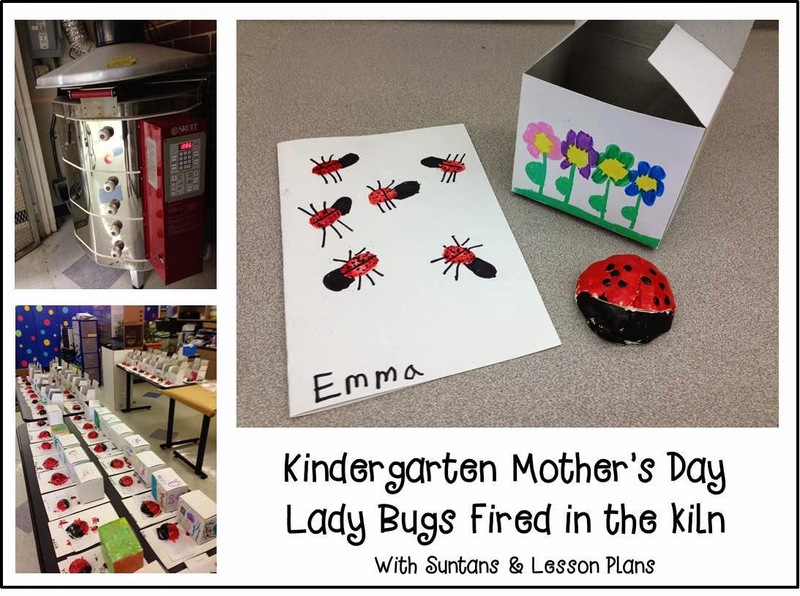 The students made pinch pots that we decorated as lady bugs. (Inspiration came from this post.) There was not enough time to glaze them, so we used acrylic paint and a spray glaze. The students decorated the boxes like little gardens. For the cards, I embossed their thumb prints with red glitter powder before they added details with a marker. For my first clay project in the STEAM Lab, I am happy with how it came out. I am going to apply for a grant for supplies so that I can do at least one clay project with each grade level next year. I've already started to plan my STEAM curriculum connections. The CHANGE Club gave me a mini grant to pay for new worms for my worm bin. I was also able to order coconut coir and gloves. The first bin was actually too full, so I found another that was empty outside the middle school building. My own kids came to school to help me transfer the worms. They thought it was the best thing ever! 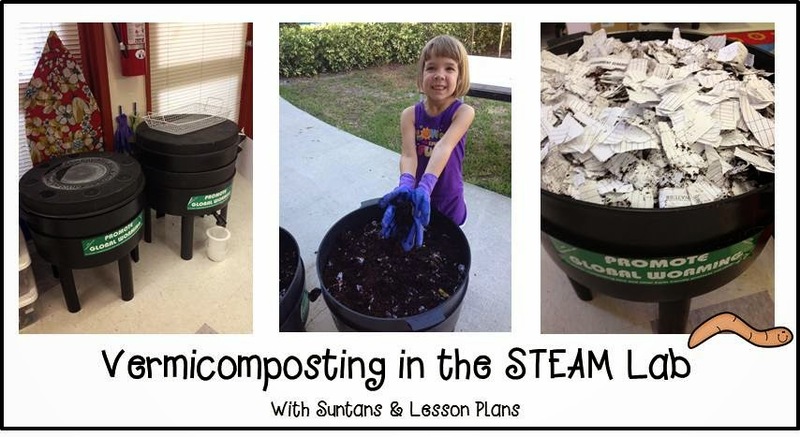 I had a successful vermicomposting program set up a few years ago. Fingers cross, it looks like I am on track again. I hope to have each grade level take a turn next year caring for the worms. There is so much potential there! 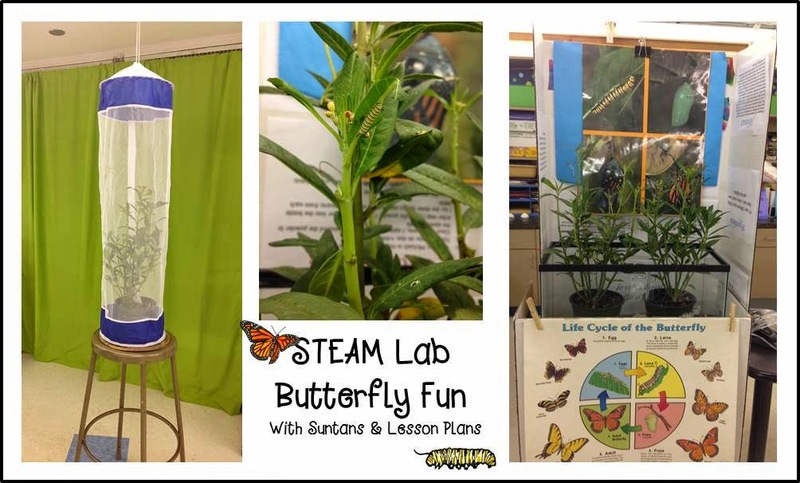 Decomposition, mass of their food, life cycle, and so many other STEAM links. This morning during my planning period I put up new signs around the worm farm. I'll post pictures of that soon. It looks as cure as worms can look now. The caterpillars are back on the outside my house. My daughter was terribly concerned that the lizards would eat them. We have not had a successful chrysalis in a long time. I agreed to bring them into school to "save" them. I picked up some milkweed from Home Depot. I'd planned to move the caterpillars into a small habitat before they formed a chrysalis, but I misjudged the time. Instead I ordered a larger habitat from Amazon and put the whole plant in it. I brought in a total of 6 caterpillars from home. Two of them didn't make it, but 4 more have hatched. Thankfully my students haven't been paying much attention to the numbers. They are more concerned about when the butterfly will emerge from the chrysalis. I am afraid the first one will be over the weekend. We shall see! Love, love, love, love, LOVE your new blog design. I'm getting antsy wanting a new one! Love your new design, can't wait for my new design next month! Jenny - love the new design - esp. the Starfish. We're thinking of composting at home - my mom does it and said that along with recycling she ONLY puts out 1 trashbag per month!!! Pretty awesome.